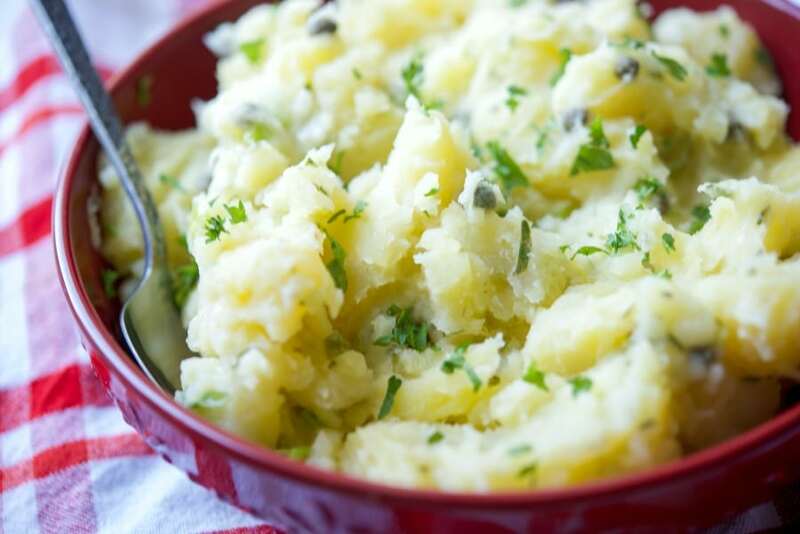 Yukon Gold potatoes tossed with lemon juice, capers, garlic, rosemary and extra light olive oil make this Lemon Caper Vinaigrette Potato Salad a deliciously light addition to your outdoor gatherings. I know I’ve mentioned it before, but for those of you who don’t know our oldest daughter despises mayonnaise. So when making potato salads for our Summer get togethers, I try to come up with new ways to make it to give her a little variety. 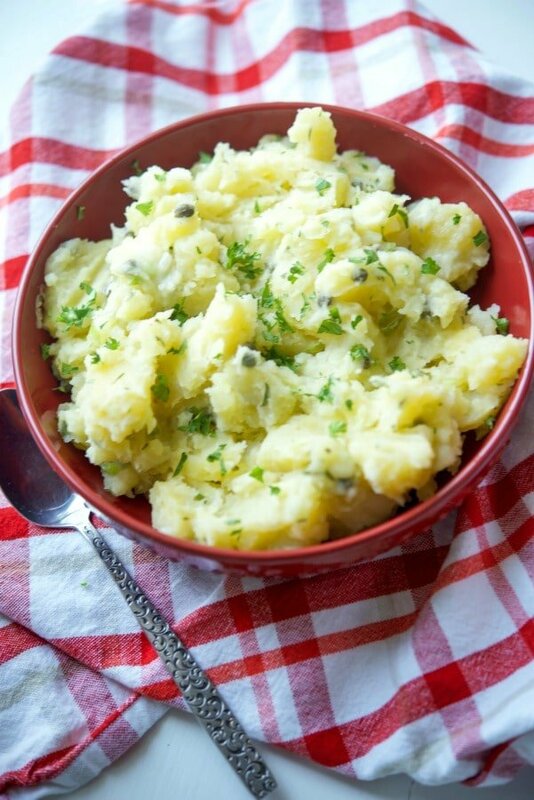 Some of her favorites are listed below under “Related Recipes” section, but this Lemon Caper Vinaigrette Potato Salad is one of my personal favorites. 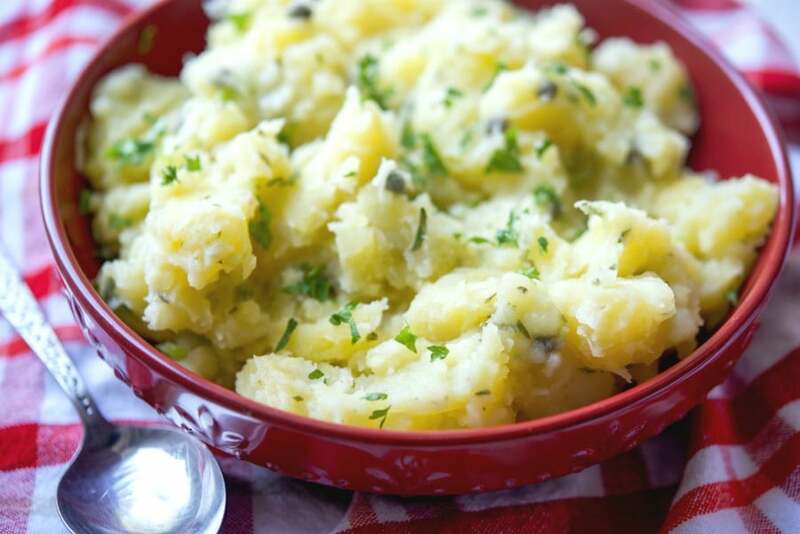 Making this Lemon Caper Vinaigrette Potato Salad is super simple and doesn’t require a lot of ingredients. 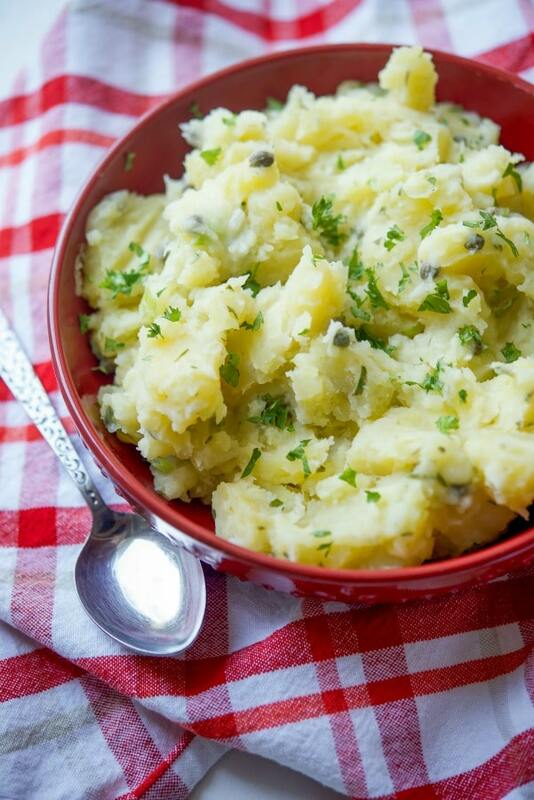 For this recipe, you’ll need Yukon Gold Potatoes, scallions, lemon juice, capers, fresh rosemary, garlic and extra light olive oil. 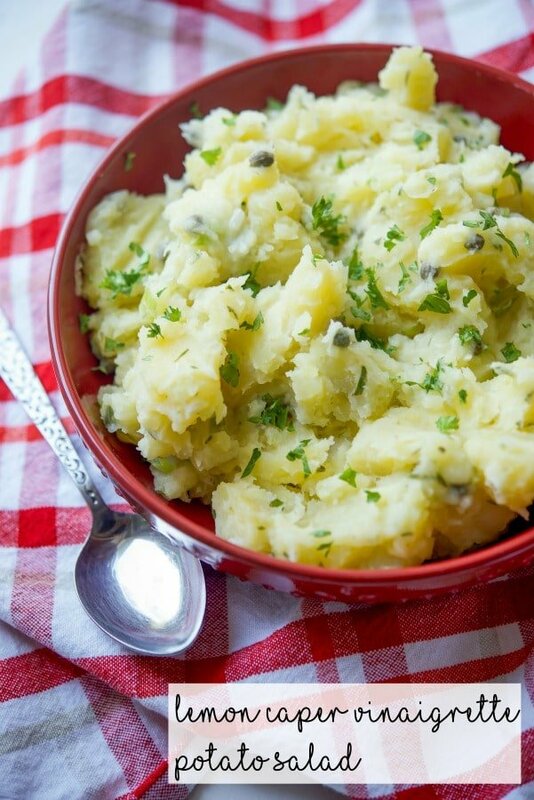 I chose to use Yukon Gold, but you could use other types of potatoes as well; however, your cooking time may vary. Start by washing the potato skins; then boiling the potatoes whole (with skins on) until they are fork tender. Cooking times may vary depending on the size of your potatoes, so try to use ones that are uniform in size so that they cook evenly. 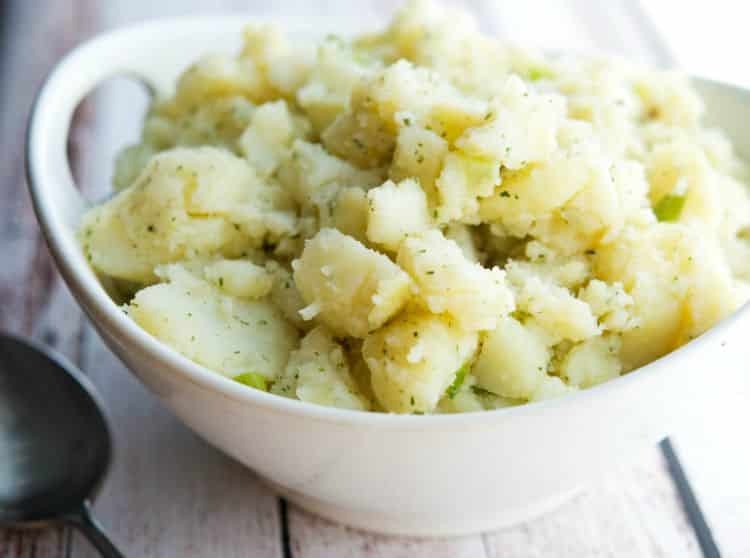 Once the potatoes are cooked (approximately 20-30 minutes), run them under cold water and allow them to cool enough for you to peel the skins off and cut them. You can either slice them or cut them into larger pieces; that’s your preference. I opted for cutting them into large chunks so you get a chunkier potato salad. Add the potatoes to a mixing bowl; then add chopped scallions. I can’t eat onions, but I tolerate scallions which is why you’ll see me using those in place of onions; however, you can add onions if you’d prefer. Next, make the Lemon Caper Vinaigrette by combining the lemon juice, oil, garlic, rosemary and capers in a small bowl and whisk until smooth. Pour the mixture over the potatoes and gently toss to coat. If you would like to add some black pepper, you can do that here, but I don’t recommend adding salt until after the potato salad sits for a while. 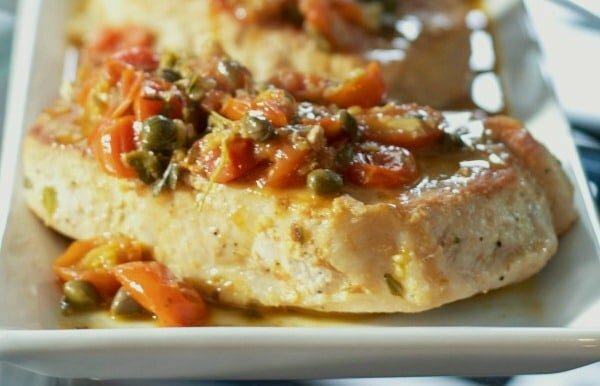 Like I mentioned earlier, capers tend to be salty so you don’t want to add any unnecessary salt if you don’t have to. 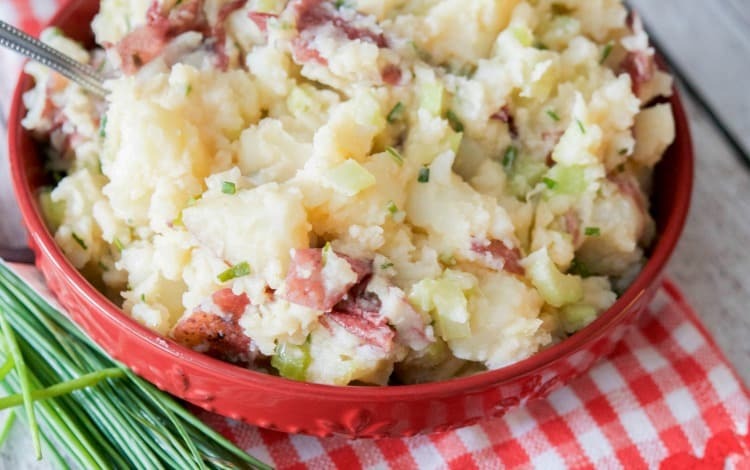 Once you mix the potato salad, place it in a serving bowl and allow to refrigerate for at least 2 hours or longer to get cold; which also helps infuse all of those flavors into the potatoes. 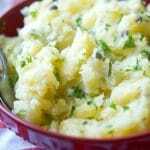 This recipe for Lemon Caper Vinaigrette Potato Salad makes 4 cups ( or 8-1/2 cup servings), but you can adjust the number on the recipe card below if you’d like to make more and the ingredients will adjust with it. 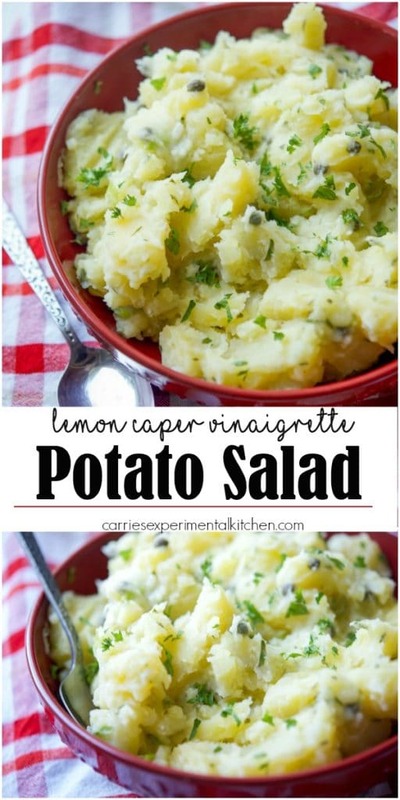 My daughter loved this potato salad without mayonnaise just as much as I did and it was so light and full of flavor. ~Enjoy! Once the potatoes are cooked, run them under cold water and allow them to cool enough for you to peel the skins off and cut them. You can either slice them or cut them into larger pieces; that's your preference. Add the potatoes to a mixing bowl; then add chopped scallions. 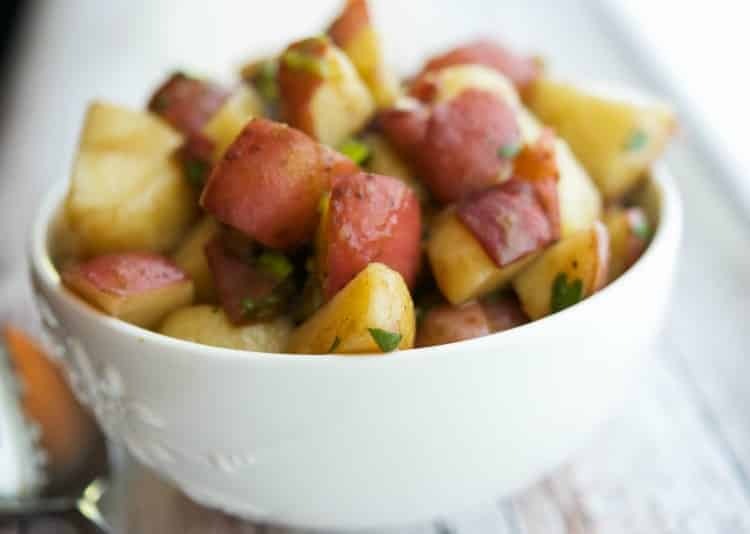 Pour the vinaigrette over the potatoes and gently toss to coat; then refrigerate for at least 2 hours to chill before serving. Made this recipe for the first time tonight. 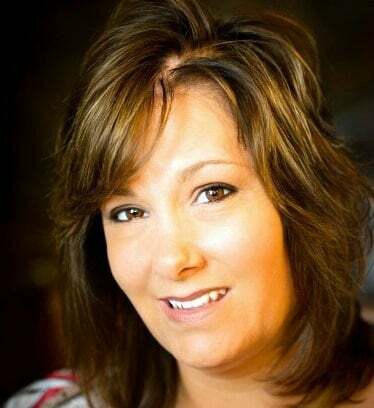 The verdict from my husband is… YUM!! 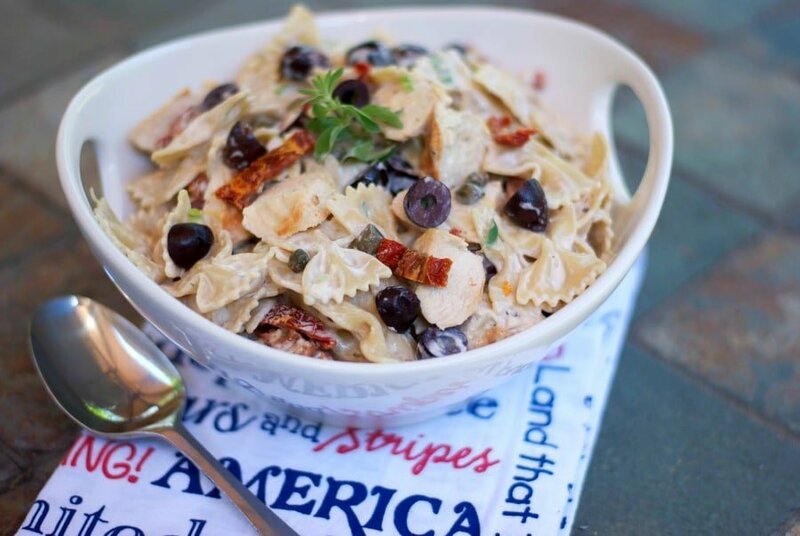 I’m so glad he liked the recipe, thanks for giving it a try Melinda!